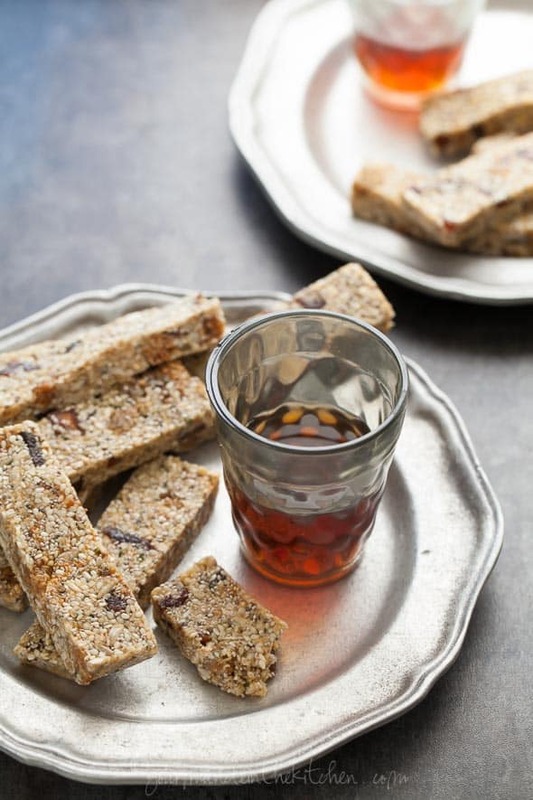 These energy bars filled with nutty seeds and chewy apricots make the perfect afternoon pick-me-up. Whether I’ve been out all day and didn’t have time for a proper meal, or just need something mid-afternoon to get me through to dinner, a portable snack comes in handy. That’s why I often make a batch of these apricot seed bars on the weekend for the week ahead. 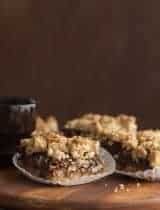 Super quick to throw together, these no-bake bars are a no-fuss kind of treat. 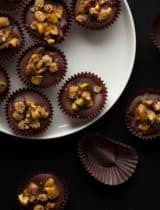 Since the bars keep well in an air-tight container they make a good on-the-go breakfast or anytime snack that you can grab and take with you in your bag. They’ve sustained me through numerous car trips, plane rides and just everyday busyness. With a chewy but firm texture and mild sweet nuttiness they satisfy that sweet craving while still providing sustained energy. So simple to make, you just heat everything together, then press the mixture into a tray to set up. The only catch is that you need to give it at least a good hour in the fridge to set before you slice into them, other than that we’re really talking minutes of prep time. 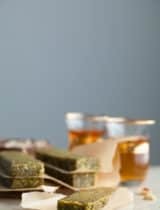 A mix of chia, sesame, hemp and sunflower seeds are at the base of these seeds bars and provide a good dose of healthy fat, fiber and protein to keep you full. 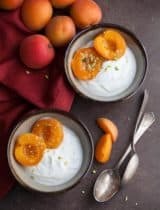 Apricots and dried mulberries add a hint of sweetness and chewiness to balance all out. Low glycemic coconut nectar provides additional chew and stickiness that binds everything together without wrecking blood sugar. 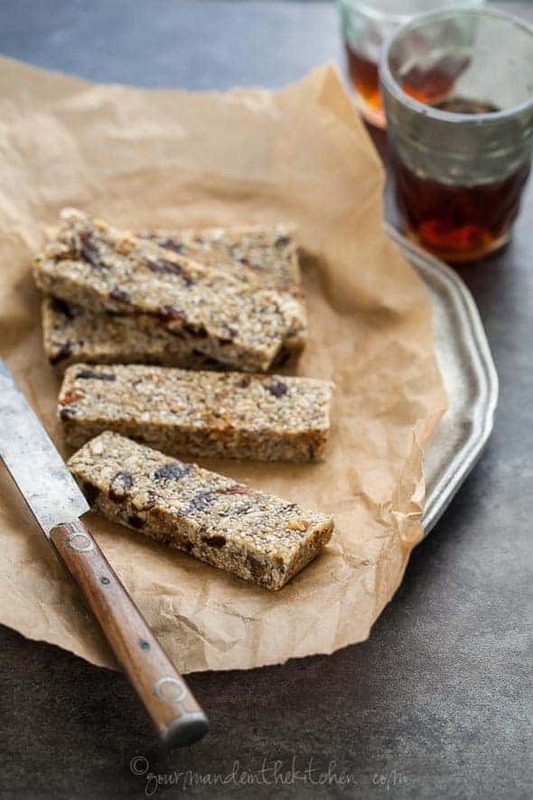 Paired with a cup of tea or coffee, these bars really hit the spot and keep hunger at bay. Line the bottom of a 9x5 inch loaf pan with parchment. In a medium sized bowl mix together the seeds and dried fruit. In a medium-sized skillet heat the coconut oil, coconut nectar, vanilla extract and a pinch of salt. Whisk continuously to combine until bubbly. Let cook for 2 to 3 minutes until the mixture darkens in color and smells of caramel. Add in the mixed seeds and fruit and mix to combine with the coconut nectar caramel until well coated, sticky and warmed throughout. Pour into parchment lined pan and press down firmly with a spatula to smooth. Place in fridge to cool completely before cutting into bars. Cut into 6 bars and store in an airtight container in fridge. Wrap bars in parchment to go. Simple, scrumptious, healthy snack on the go, Sylvie! Love these bars and have everything on hand to make them but the hemp seeds. 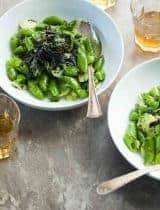 Must try this recipe ASAP. Thanks for sharing! The more seeds, the better! These bars sound awesome! These look so great! Love the use of all these seeds. Have never used coconut nectar before but looking forward to trying it! These bars sound so tasty! 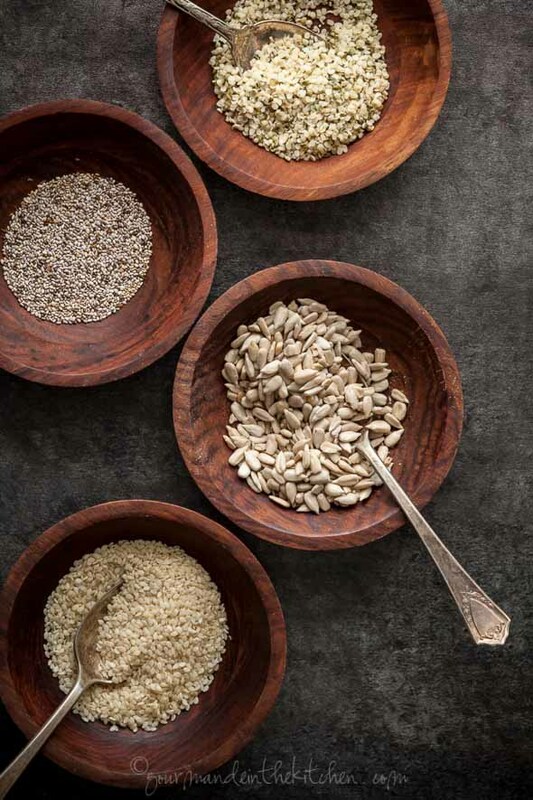 It's great to have another way to eat all the different kinds of seeds. These look like the perfect on the go energy bars, can't wait to try! Hi If you don't have coconut nectar can you use honey? Yes, that should be fine as well. Wow! I cannot wait to make these beauties! They look absolutely delicious! Thanks for sharing with us! xo I'll definitely be sharing this via social media this week! YUM! So delicious and definitely something I need to give a try. I'm forever needing something healthy to help get me through that rough mid afternoon hunger patch. So yummy! Thank you! 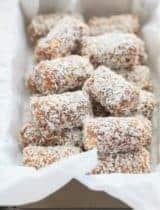 I've been looking for nut-free bars for my children to take to school, which are also tasty, easy to make and nutritional. I look forward to making them with my kids. I have a similar go to bar that I often make for the snacking. 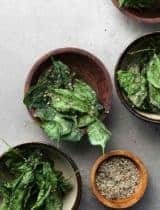 Like the idea of hemp and chia seeds here! 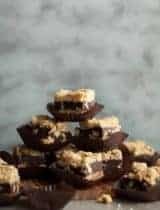 Absolutely love this recipe for the bars. They remind me a lot of a snack we have in India made out of sesame seeds and jaggery(brown sugar). These are way healthier and lovely. Pinning to make it soon. thanks for sharing. I didn't like the coconut nectar in these. I had never had it before but I don't like it. Would honey work instead or would it affect the texture or ability of the bars to hold together? Honey is fine as a substitute if you'd prefer.